Complicit or clueless? Liability for teen party damage at one’s home can be thought of as an ascending scale of questionable judgment, along which parents enable the process to a lesser or greater extent. The logical principles at work here are: did the parents give permission for the party, were they home and did they allow alcoholic beverages or drugs to be consumed? But lapses in oversight that are not so apparent could still end up costing you money. However, even the term “willfully” can be subject to interpretation in court. It is not necessary for a parent to pour custom shooters at the wet bar to be held liable for damages. Although it may not seem entirely fair, the fact that liquor was available in the house at all my trigger liability, even if the liquor supply was locked up. The outcome of a court case may turn on whether or not the teens would reasonably know where the liquor was kept and be able to get to it. Since “reasonably” is a highly subjective term, it would seem apparent that no parent would want a court case to turn on its interpretation. There is an additional standard for most of these scenarios that goes beyond whether or not the parents knew about the party and unauthorized refreshments. That question is whether or not the parents should have known. For example, if there have there been previous unauthorized parties at your house, or the teenager has a shaky track record or if the police been called to the house, the court many decide that you should have known. You may be held liable even if you expressly forbade your teenager to have a party at the house. Expanded liability: Another aspect of parental financial exposure that is not intuitively obvious is the scope of potential liability caused by the impaired behavior of a guest. While most people understand accountability for a partier that is injured driving into a tree, they may miss the fact that you can be sued for what the partier does to a third-party. Parents may be responsible for damage done to a personal property or for an injured pedestrian as well. In fact, under the reasonable care principle, if you discovered a drunken guest at your house and failed to drive them home, you could be liable for anything that happened to them or damages they caused after leaving your house. 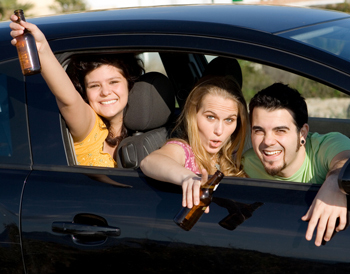 There are any number of teen party scenarios that can end up with parents financially responsible for consumption of illegal substance at their home. While understanding the law is helpful, the overriding principle is this: whether you are home or not, do everything within your power to make sure no one ever leaves your house in an impaired condition.